The announcement came as Budapest permitted Azerbaijani national Ramil Safarov return to his home country after he had been convicted of murdering an Armenian tourist in Budapest. In 2004, Safarov traveled to Budapest to study English in NATO's "Partnership for Peace program." While there, he murdered Armenian national Gurgen Margaryan, who was attending the same course. Safarov killed Margaryan with an ax while he slept. In his initial testimony, Safarov explained that during the 1993 Armenian occupation of Nagorno-Karabakh, the majority ethnic Armenian region of Azerbaijan where he was born, members of his family were killed in the resulting military conflict. Safarov implied that he killed Margaryan to avenge his relatives. He later changed his testimony, claiming his initial statement was the result of a miscommunication between him and his interpreters. In a revised version of his testimony, Safarov claimed that Margaryan had insulted Azerbaijan's national flag. The trial was held in Budapest in 2006; a Hungarian court sentenced Safarov to life in prison, and he could not appeal for pardon for 30 years. But on Friday, in accordance with the Strasbourg Convention on the Transfer of Sentenced Persons, Safarov was extradited to his home country. Safarov was pardoned by Azerbaijani President Ilham Aliyev that same day, despite previous assurances by Baku that the convict would not be released before 2037. While Hungary put forward the 30 year appeal ban, nothing was said about amnesty, added the office. Azerbaijani television showed a smiling Safarov walking through a crowd of supporters, draped in the Azerbaijani flag and carrying a bouquet of roses. 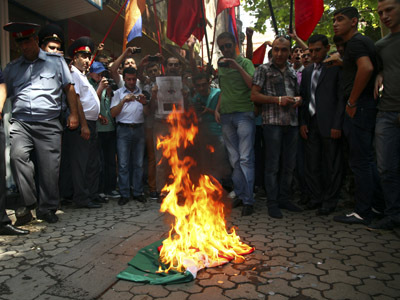 A demonstration took place in front of the Hungarian Consulate in Yerevan, Armenia, following the news of Safarov's pardon. Demonstrators held banners reading “Shame on Hungary” and “We demand justice.” Protesters threw tomatoes at the building. On Saturday, dozens returned, saying the protest will continue until the Safrov has been brought to justice. Demonstrators burned a Hungarian flag in protest. A similar protest took place in front of the Armenian Foreign Ministry in the country’s capital, the Aysor news website reported. The demonstrators demanded the resignation of the head of the Ministry, Edward Nalbandyan, as well as the other officials responsible for releasing Safarov. They also called on authorities to pressure Budapest to make an official apology. Meanwhile, the official website of Azerbaijani President Ilham Aliyev has been put out of order. Armenian media say the Armenian Cyber Army hacker group is behind the attack. The country's President Sargsyan accused Hungarian authorities of colluding with Azerbaijani authorities to have Safarov released. "The Hungarian authorities have to understand that they made a big mistake. 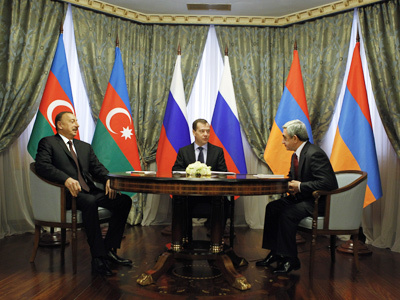 They actually made a deal with Azerbaijani authorities,” he said. The incident sparked concerns in countries as far away as the US. 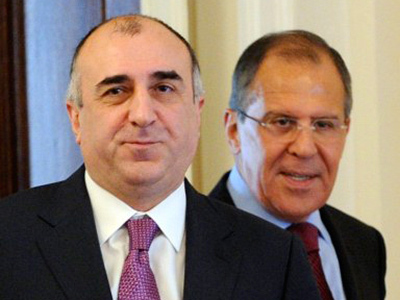 The White House voiced clear disappointment over Safarov’s release, and demanded an explanation from Budapest.